Under the common reporting standards (CRS), financial institutions around the world have begun to share account balance details of their individual and corporate customers with tax authorities. Automatic exchange of information between these tax authorities is designed to identify residents that have failed to declare their entire income and could lead to tax audits of corporates and individuals as well as prosecution. Major financial jurisdictions including Switzerland, Hong Kong, Dubai and Singapore have already committed to CRS. 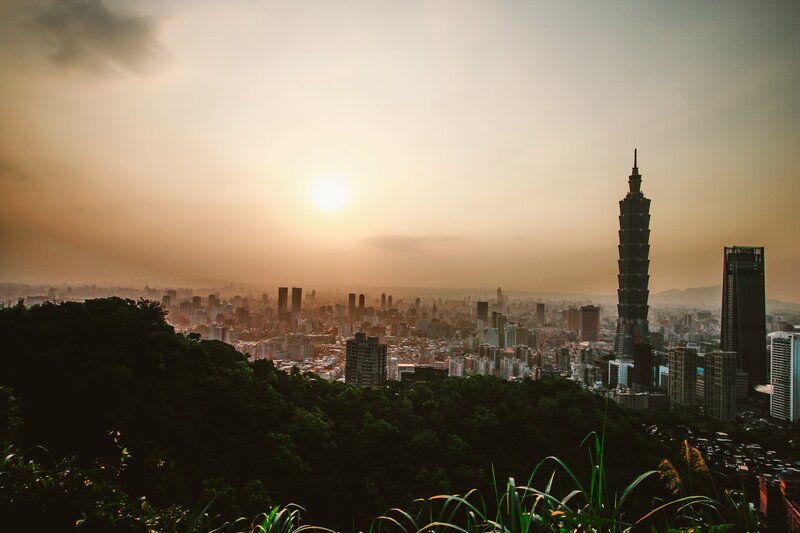 Taiwan, too, has vowed to implement relevant laws with effect from January 1 2019 with the first exchange of information due in the first half of 2020. Taiwanese corporates and their founders have a long history of structuring their business operations through low tax offshore jurisdictions, partly due to tax savings but also because it often was the only way for them to invest in mainland China. Earnings from these enterprises (and their founders) have accrued in overseas jurisdiction for decades. Now, as global exchange of tax information takes effect, billions will be revealed to the taxman for the first time. Estimates of assets held offshore by Taiwanese entrepreneurs and entities range from US$64 billion to over US$500 billion. Annual GDP of NT$18 trillion (US$580 billion) in 2017 puts this figure into perspective. As more wealthy entrepreneurs come to terms with the new global tax environment, many of them accept their only choice is to declare and repatriate their assets. However, his clients are calling for a tax amnesty or at least a one-off tax reduction that would be applied to the repatriated cash. At the moment, a 20% alternative minimum tax (AMT) rate applies to overseas income declared or repatriated. Tax amnesty bills have been passed in countries including the US and Indonesia, with results that would seem to strongly support such programmes. In Indonesia, for instance, the most recent tax amnesty led to asset declarations totaling more than 3,600 trillion rupiah (US$240 billion), boosting equity and debt security markets as well as strengthening the rupiah. A large share of this asset base has also been repatriated to Indonesia and invested in government and private enterprise securities. Su, who has been at the helm of the ministry since July, is also acutely aware of the signs any tax amnesty would send to his global peers. “We have to consider the impact on our reputation among OECD (Organisation for Economic Cooperation and Development) countries that any tax exemption period will have,” he says. Technically, Taiwan is unable to partake in CRS because the OECD does not recognize the country as an independent nation. However, the country has sought to conform to requirements set out by the OECD to avoid being placed on the list of non-compliant jurisdictions. As such, it has amended the Income Tax Act to extend the concept of a place of effective management to include companies located outside of Taiwan under certain conditions – and to give the tax authorities the right to tax such companies on their worldwide income. Taiwan has also struck new bilateral tax treaties with overseas jurisdictions. Passed in 2016, the tax law amendment has not been implemented, however. “We want to give businesses a period of time to restructure their business model or reallocate their operations,” Su explains. The country remains committed to the OECD requirements, he adds, and CRS implementation will go ahead as planned once a framework for repatriation of overseas wealth is passed as well. How much of the offshore wealth by Taiwanese entrepreneurs and their businesses will be repatriated in the event of a tax amnesty is difficult to estimate. There are signs, however, that money is ready to flow as soon as an amicable framework for doing so is established. At Yuanta Securities’ Hong Kong branch, for instance, assets under management have nearly doubled from NT$18.5 billion at the end of 2017 to NT$37 billion just eight months later. Meanwhile, overseas banking unit (OBU) assets of Taiwanese financial institutions now exceed US$200 billion. Currently holding off just ‘outside’ the gates of Taipei, then, re-domiciling these assets to true onshore bank accounts may just be a matter of giving high-net-worth individuals a final push through a tax incentive. Banks and securities houses in the country have begun planning for the massive influx of wealth, knowing they will play important roles as conduits for repatriation. Nearly all of them have named their wealth management departments as core growth drivers for the coming reporting period. Already fees in the sector are recording double-digit growth, which analysts deem sustainable for 2019 as well. Global banks are not idle, either. “You can imagine why UBS has 200 salespeople in Taipei alone in their wealth management division,” one investment banker quips. Crossing the minds of lawmakers and financiers alike is one important thought: how and where will the repatriated funds be invested? Will greenfield investments in emerging industries surge or is mainboard market capitalization of Taiwan’s largest companies going to extend its growth spurt? Indeed, tax revenues already reached an all-time high in 2017 and are on track to exceed previous levels in 2018 as well. The main benefit of a surging asset declaration and repatriation, then, is not higher revenue for the government but the opportunity for offshore wealth to be invested in the local economy, funding growth industries and new research. As this seventh annual Taiwan Report by The Asset finds, investment opportunities have seldom been as plentiful domestically.